Today, I speak by way of reminder and admonition tothose of us who are members of The Church of JesusChrist of Latter-day Saints. I pray for and invite the HolyGhost to now assist me and you as we learn together. Baptism by immersion for the remission of sins “is theintroductory ordinance of the gospel” of Jesus Christand must be preceded by faith in the Savior and bysincere and complete repentance. “Baptism in water …must be followed by baptism of the Spirit in order to becomplete” (see Bible Dictionary, “Baptism,” 618). As theSavior taught Nicodemus, “Except a man be born ofwater and of the Spirit, he cannot enter into thekingdom of God” (John 3:5). My message this afternoonfocuses on the baptism of the Spirit and the blessingsthat flow from the companionship of the Holy Ghost. As each of us was baptized, we entered into a solemncovenant with our Heavenly Father. A covenant is anagreement between God and His children upon theearth, and it is important to understand that Goddetermines the conditions of all gospel covenants. Youand I do not decide the nature or elements of acovenant. Rather, exercising our moral agency, weaccept the terms and requirements of a covenant asour Eternal Father has established them (see BibleDictionary, “Covenant,” 651). The saving ordinance of baptism must be administeredby one who has proper authority from God. Thefundamental conditions of the covenant into which weentered in the waters of baptism are these: wewitnessed that we were willing to take upon ourselvesthe name of Jesus Christ, that we would alwaysremember Him, and that we would keep Hiscommandments. The promised blessing for honoringthis covenant is that we may always have His Spirit to bewith us (see D&C 20:77). In other words, baptism bywater leads to the authorized opportunity for theconstant companionship of the third member of theGodhead. Following our baptism, each of us had hands placedupon our head by those with priesthood authority andwas confirmed a member of The Church of Jesus Christof Latter-day Saints, and the Holy Ghost was conferredupon us (see D&C 49:14). The statement “receive theHoly Ghost” in our confirmation was a directive to strivefor the baptism of the Spirit. The Prophet Joseph Smith taught: “You might as wellbaptize a bag of sand as a man, if not done in view ofthe remission of sins and getting of the Holy Ghost.Baptism by water is but half a baptism, and is good fornothing without the other half—that is, the baptism ofthe Holy Ghost” (History of the Church, 5:499). We werebaptized by immersion in water for the remission ofsins. 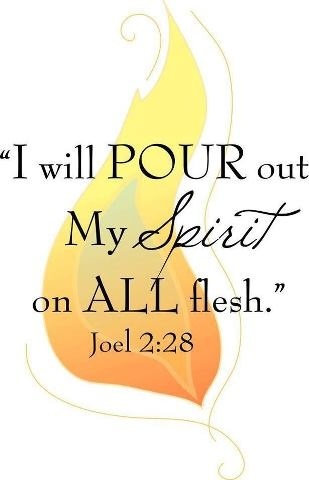 We must also be baptized by and immersed in theSpirit of the Lord, “and then cometh a remission of yoursins by fire and by the Holy Ghost” (2 Ne. 31:17). As we gain experience with the Holy Ghost, we learnthat the intensity with which we feel the Spirit’sinfluence is not always the same. Strong, dramaticspiritual impressions do not come to us frequently.Even as we strive to be faithful and obedient, theresimply are times when the direction, assurance, andpeace of the Spirit are not readily recognizable in ourlives. In fact, the Book of Mormon describes faithfulLamanites who “were baptized with fire and with theHoly Ghost, and they knew it not” (3 Ne. 9:20). The influence of the Holy Ghost is described in thescriptures as “a still small voice” (1 Kgs. 19:12; see also 3Ne. 11:3) and a “voice of perfect mildness” (Hel. 5:30).Thus, the Spirit of the Lord usually communicates withus in ways that are quiet, delicate, and subtle. In our individual study and classroom instruction, werepeatedly emphasize the importance of recognizingthe inspiration and promptings we receive from theSpirit of the Lord. And such an approach is correct anduseful. We should seek diligently to recognize andrespond to promptings as they come to us. However,an important aspect of baptism by the Spirit mayfrequently be overlooked in our spiritual development. We should also endeavor to discern when we “withdraw[ourselves] from the Spirit of the Lord, that it may haveno place in [us] to guide [us] in wisdom’s paths that [we]may be blessed, prospered, and preserved” (Mosiah2:36). Precisely because the promised blessing is that wemay always have His Spirit to be with us, we shouldattend to and learn from the choices and influencesthat separate us from the Holy Spirit. The standard is clear. If something we think, see, hear,or do distances us from the Holy Ghost, then we shouldstop thinking, seeing, hearing, or doing that thing. Ifthat which is intended to entertain, for example,alienates us from the Holy Spirit, then certainly thattype of entertainment is not for us. Because the Spiritcannot abide that which is vulgar, crude, or immodest,then clearly such things are not for us. Because weestrange the Spirit of the Lord when we engage inactivities we know we should shun, then such thingsdefinitely are not for us. I recognize we are fallen men and women living in amortal world and that we might not have the presenceof the Holy Ghost with us every second of every minuteof every hour of every day. However, the Holy Ghostcan tarry with us much, if not most, of the time—andcertainly the Spirit can be with us more than it is notwith us. As we become ever more immersed in theSpirit of the Lord, we should strive to recognizeimpressions when they come and the influences orevents that cause us to withdraw ourselves from theHoly Ghost. In our day the Book of Mormon is the primary source towhich we should turn for help in learning how to invitethe constant companionship of the Holy Ghost. Thedescription in the Book of Mormon of the Liahona, thedirector or compass used by Lehi and his family in theirjourney in the wilderness, specifically was included inthe record as a type and a shadow for our day and asan essential lesson about what we should do to enjoythe blessings of the Holy Ghost. As we strive to align our attitudes and actions withrighteousness, then the Holy Ghost becomes for ustoday what the Liahona was for Lehi and his family intheir day. The very factors that caused the Liahona towork for Lehi will likewise invite the Holy Ghost into ourlives. And the very factors that caused the Liahona notto work anciently will likewise cause us to withdrawourselves from the Holy Ghost today. As we study and ponder the purposes of the Liahonaand the principles by which it operated, I testify that wewill receive inspiration suited to our individual andfamily circumstances and needs. We can and will beblessed with ongoing direction from the Holy Ghost. The Liahona was prepared by the Lord and given toLehi and his family after they left Jerusalem and weretraveling in the wilderness (see Alma 37:38; D&C 17:1).This compass or director pointed the way that Lehi andhis caravan should go (see 1 Ne. 16:10), even “a straightcourse to the promised land” (Alma 37:44). The pointersin the Liahona operated “according to the faith anddiligence and heed” (1 Ne. 16:28) of the travelers andfailed to work when family members were contentious,rude, slothful, or forgetful (see 1 Ne. 18:12, 21; Alma37:41, 43). The compass also provided a means whereby Lehi andhis family could obtain greater “understandingconcerning the ways of the Lord” (1 Ne. 16:29). Thus,the primary purposes of the Liahona were to provideboth direction and instruction during a long anddemanding journey. The director was a physicalinstrument that served as an outward indicator of theirinner spiritual standing before God. It worked accordingto the principles of faith and diligence. Just as Lehi was blessed in ancient times, each of us inthis day has been given a spiritual compass that candirect and instruct us during our mortal journey. TheHoly Ghost was conferred upon you and me as wecame out of the world and into the Savior’s Churchthrough baptism and confirmation. By the authority ofthe holy priesthood we were confirmed as members ofthe Church and admonished to seek for the constantcompanionship of “the Spirit of truth; whom the worldcannot receive, because it seeth him not, neitherknoweth him: but ye know him; for he dwelleth withyou, and shall be in you” (John 14:17). As we each press forward along the pathway of life, wereceive direction from the Holy Ghost just as Lehi wasdirected through the Liahona. “For behold, again I sayunto you that if ye will enter in by the way, and receivethe Holy Ghost, it will show unto you all things what yeshould do” (2 Ne. 32:5). The Holy Ghost operates in our lives precisely as theLiahona did for Lehi and his family, according to ourfaith and diligence and heed. “The Holy Ghost shall be thy constant companion, andthy scepter an unchanging scepter of righteousness andtruth” (D&C 121:45–46). And the Holy Ghost provides for us today the meanswhereby we can receive, “by small and simple things”(Alma 37:6), increased understanding about the ways ofthe Lord: “But the Comforter, which is the Holy Ghost,whom the Father will send in my name, he shall teachyou all things, and bring all things to yourremembrance, whatsoever I have said unto you” (John14:26). The Spirit of the Lord can be our guide and will bless uswith direction, instruction, and spiritual protectionduring our mortal journey. We invite the Holy Ghostinto our lives through meaningful personal and familyprayer, feasting upon the words of Christ, diligent andexacting obedience, faithfulness and honoring ofcovenants, and through virtue, humility, and service.And we steadfastly should avoid things that areimmodest, coarse, crude, sinful, or evil that cause us towithdraw ourselves from the Holy Ghost. We also invite the ongoing companionship of the HolyGhost as we worthily partake of the sacrament eachSabbath day: “And that thou mayest more fully keepthyself unspotted from the world, thou shalt go to thehouse of prayer and offer up thy sacraments upon myholy day” (D&C 59:9). Through the ordinance of the sacrament we renew ourbaptismal covenant and can receive and retain aremission of our sins (see Mosiah 4:12, 26). In addition,we are reminded on a weekly basis of the promise thatwe may always have His Spirit to be with us. As we thenstrive to keep ourselves clean and unspotted from theworld, we become worthy vessels in whom the Spirit ofthe Lord can always dwell. In February of 1847 the Prophet Joseph Smith appearedto Brigham Young in a dream or vision. President Youngasked the Prophet if he had a message for theBrethren. The Prophet Joseph replied: “Tell the peopleto be humble and faithful, and be sure to keep the spiritof the Lord and it will lead them right. Be careful andnot turn away the small still voice; it will teach themwhat to do and where to go; it will yield the fruits of thekingdom” (see Teachings of Presidents of the Church:Brigham Young , 41; emphasis added). Of all thetruths the Prophet Joseph might have taught BrighamYoung on that sacred occasion, he emphasized theimportance of obtaining and keeping the Spirit of theLord. My beloved brothers and sisters, I testify of the livingreality of God the Eternal Father and of His Son, JesusChrist, and of the Holy Ghost. May each of us so livethat we may always have His Spirit to be with us andthereby qualify for the blessings of direction,instruction, and protection that are essential in theselatter days. In the sacred name of Jesus Christ, amen.